Getting adequate sleep is increasingly rare among the active duty military population, as frequent deviations from the body’s natural circadian rhythms due to a demanding operational tempo pit personnel in an ongoing struggle against the ever-persistent sandman. 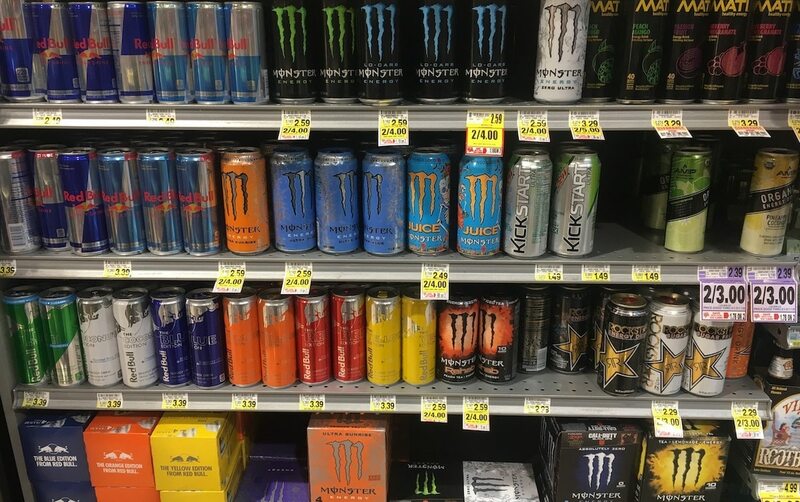 To combat the sleep deprivation unique to this demographic, service members often turn to energy drinks, a prominent component of combat deployments that has become as paramount to mission success as any piece of protective gear or weaponry. The prevalence of energy drink use in these settings is extraordinary. The life blood is virtually everywhere — and tends to cost nothing — resulting in an environment in which nearly half of deployed troops down at least one readily available crack can per day. Glaring concerns over weight and sleep issues for military personnel were raised in a 2018 RAND report. But while consuming these drinks may not hurt service members in their wallets, excessive use may very well be contributing to long-term mental and physical ailments, a recent study in the Military Medicine journal observed. The authors of the study surveyed over 600 male infantry soldiers during a post-deployment period after the brigade combat team returned from a 12-month combat deployment to Afghanistan. Questions were designed to examine the association of energy drink use with sleep deprivation or insomnia, depression, anxiety, post-traumatic stress disorder, alcohol abuse, aggressive behaviors and fatigue. What the authors found was that over the course of the month leading up to the survey, more than 75 percent of soldiers consumed energy drinks. More surprising, however, was that 16 percent “of soldiers in this study reported continuing to consume two or more energy drinks per day in the post-deployment period,” the authors wrote. High energy drink use, which was classified as consuming two or more drinks per day, was significantly associated with those survey respondents who reported mental health problems, anger-related behaviors and fatigue, the authors found. Those consuming less than one energy drink per week reported these symptoms at a significantly lower rate. Also of note is that energy drink use in this Army infantry sample was five times higher than previous studies that analyzed consuming patterns of airmen and the general population’s youth. Binge drinking, vaping…. these are just a few of the problems brewing in the military, according to a just-released study. Troubling patterns like this come as no surprise with the understanding of energy drink availability during deployments, a setting where drinks like Rip Its are practically the beverage of choice. Like other energy drinks, a Rip It, often referred to overseas as “crack,” provides the immediate jolt service members look for to spike physical and cognitive performance.